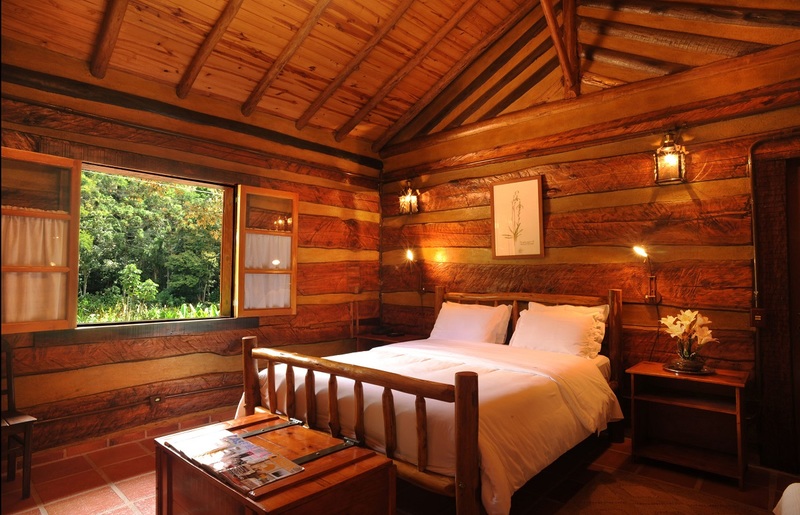 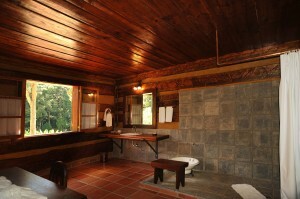 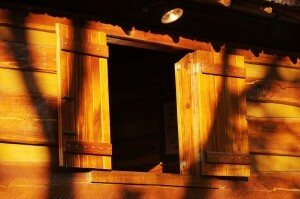 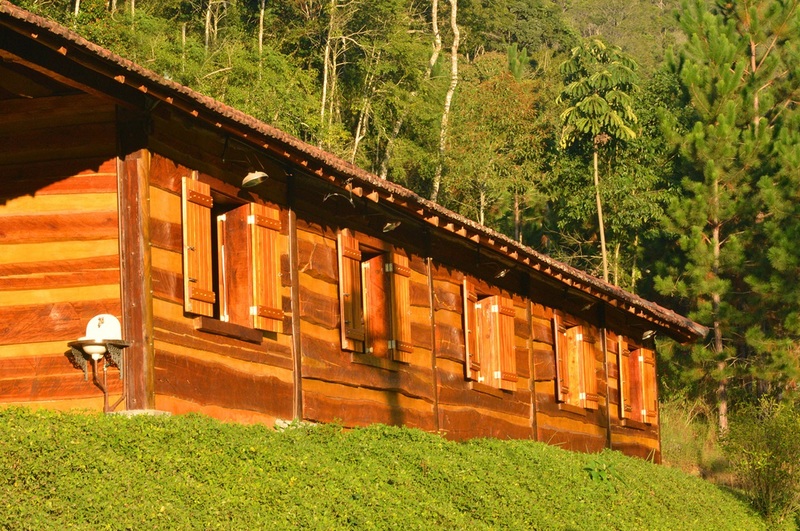 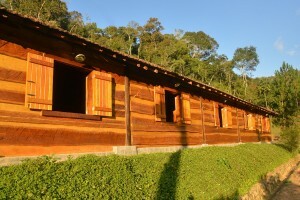 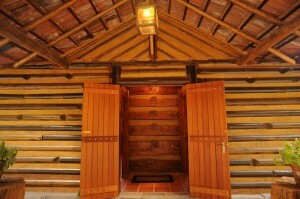 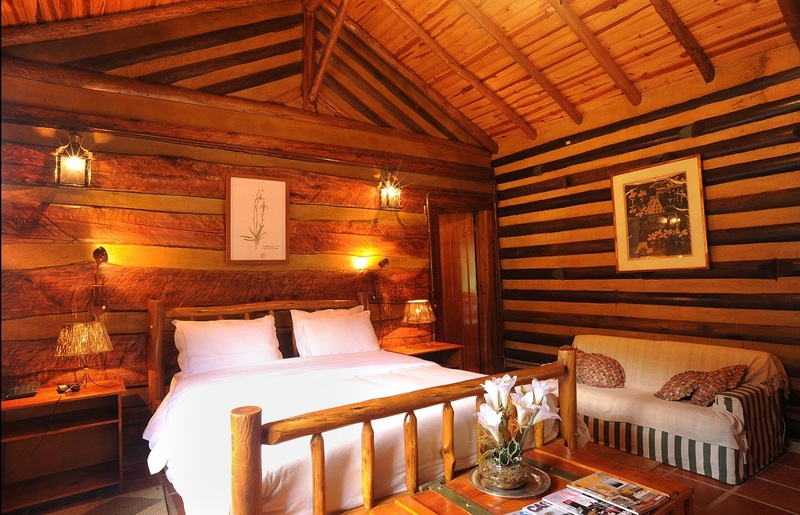 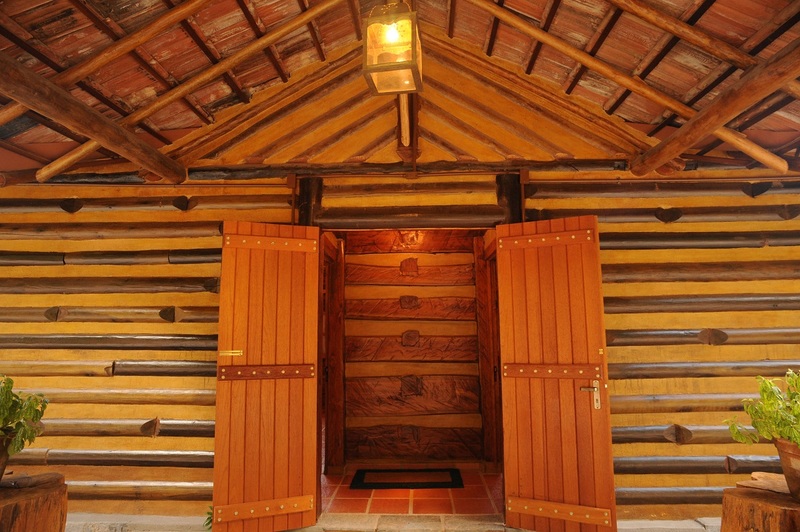 It was built with timber in the style of the old American cabins. 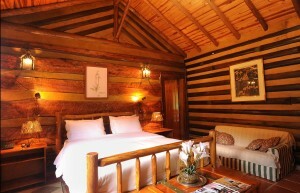 Very cozy, spacious and comfortable. All timber furniture was made in local, featuring a queen size bed. 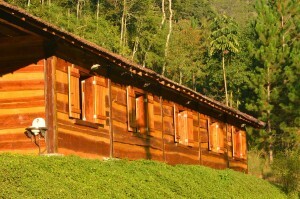 It offers electric heather, TV with SKY service (satellite) and a fridge. 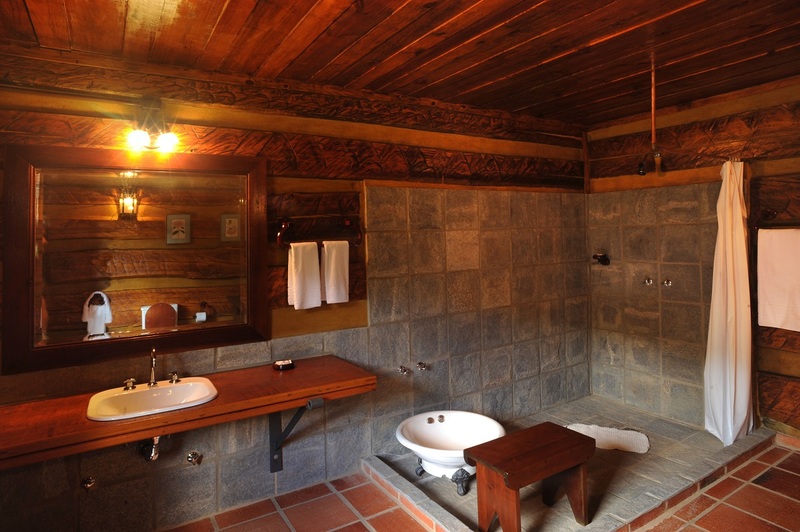 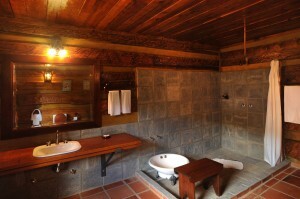 In the spacious bathroom, supplied with the pure water spring locally and heated by electric boiler, features an antique basin used to dip feet, for relaxation and consequent sensation of rest.